Dutch oven cooking is a great way to expand your outdoor cooking. 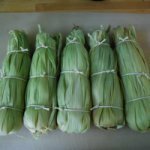 While you certainly can't cook soups, stews and braises directly on an open fire or grill, with a dutch oven or other similar heavy-duty pot with a lid you can prepare many dishes that you would never have considered for outdoor cooking. Dutch oven campfire cooking, fire pit cooking or grill cooking really has a lot of advantages and its fun to come up with creative new dutch oven recipes such as this dutch oven rabbit recipe or classics like dutch oven chicken with mushrooms. Most true dutch ovens are heavy cast iron pots with a tight fitting lid. Some have a wire handle that allows you to lift the whole pot or hang it from a tripod over your fire. Some made specifically for campfire cooking have feet that allow you to sit it directly over charcoal or burning embers on the ground. If all else fails, you can use any heavy duty pot with a lid but be sure it can take high heat. Enameled pots can't take very high heat. Also, lighter colored pots will get soot stained if used over a wood or charcoal fire. Finally, you can even us a heavy duty tin can, such as an empty coffee can if you have nothing else! 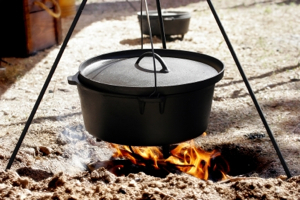 Dutch Oven Campfire Cooking: One of the most classic ways to cook over a campfire is with a dutch oven. There are basically two ways to do this. One is use a tripod to hang a dutch oven with a handle over your fire. You can then use the pot as you would any pot on a stove to stew, braise or boil your food. Another option if you have a cast iron oven with feet is to lay it directly on your hot embers or charcoal from your campfire. By shoveling some additional hot coals onto the top of the lid you can get the pot plenty hot to slowly stew or boil your food! Just add more hot coals as needed to keep your temp hot enough. When done, simply lift off the lid with a hook or other grasper and spoon out the piping hot meal! 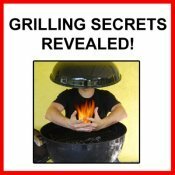 Fire Pit or Grill Cooking: You can use the same general technique on a fire pit or grill using firewood or charcoal. As long as you get your heat hot enough, simply sit your dutch oven over the heat and cook in it as usual. Fireplace Cooking: For those of you who want to turn your hearth into a cooking space, dutch oven cooking is just one way to do so. However, this requires a bit more equipment. You will need a fireplace crane installed in your fireplace. This is basically a metal arm secured to the side of your hearth which swings in and out of the fire. You can hang your oven by its handle on this arm and swivel it in over your fire. Just like Little House on the Prairie! For other ideas of how to cook in your fireplace check out my Fireplace Cooking section! Stovetop or Oven Cooking: Of course, you can use a dutch oven or other heavy duty pot to cook the same types of recipes right on your regular stovetop or in your oven. But that is so boring! Check out my Dutch Oven Braised Rabbit Recipe and Dutch Oven Chicken with Morel Mushrooms for an idea of what types of meals you can prepare in your dutch oven on your fire pit, campfire or fireplace! One of the best places I know to buy supplies for cooking with fire is SpitJack.com. Besides being one of the best options for fireplace cooking supplies (fireplace grills, rotisseries, cranes, dutch oven cooking, long-handled roasters, etc. ), they have a uniquely chosen stock of other great accessories. Their own fire pit rotisseries for pig and lamb roasting are top notch and sturdy. 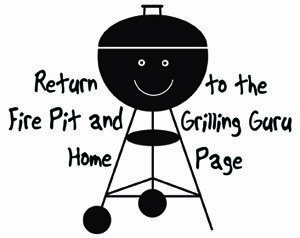 They also have fire pits, firewood storage and splitting supplies and more! Check them out! 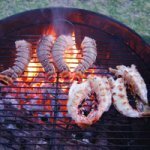 Done with the Dutch Oven Cooking page?